Ganoderma Lucidium, also called Reishi or Ling Zhi is a tough, woody mushroom with a bitter taste. It is the highest ranked traditional Chinese medicine with many potential health benefits. Is it safe to take it? Ganoderma is mostly safe if appropriately used, but it is also seen to cause side effects like dryness of mouth, throat, diarrhea, bleeding of nose and bloody stools in some people. 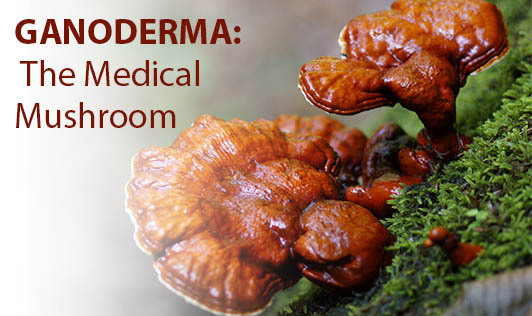 Ganoderma spores have also seen to trigger allergies in certain people. How much mushroom should one take? The mushroom itself cannot be taken as it is hard to eat. It is usually taken as a pill or in the form of dehydrated powder. The dosage depends on several factors like age, health and several other conditions. Currently, 6 mg of the ethanolic extract is used to get most of the triterpenoids, but usually 5.2g of extract/day is preferred to gain maximum benefits. Note: Although there are no potential side effects known, right now, there is not enough scientific information available on the same and one should consult his physician before using the product.